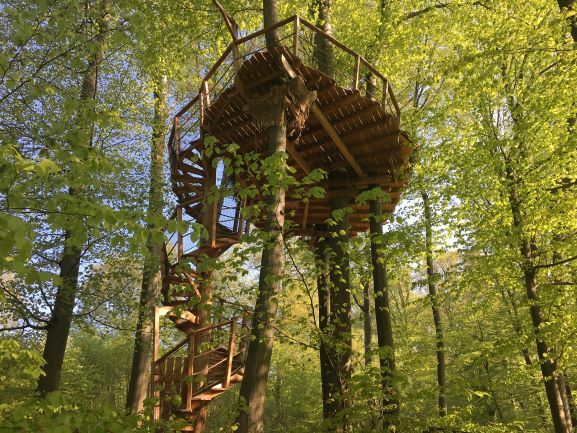 Escape the mundane with a new perspective on nature and experience an arboreal accommodation in Bratislava – just 15 minutes drive from the city center! 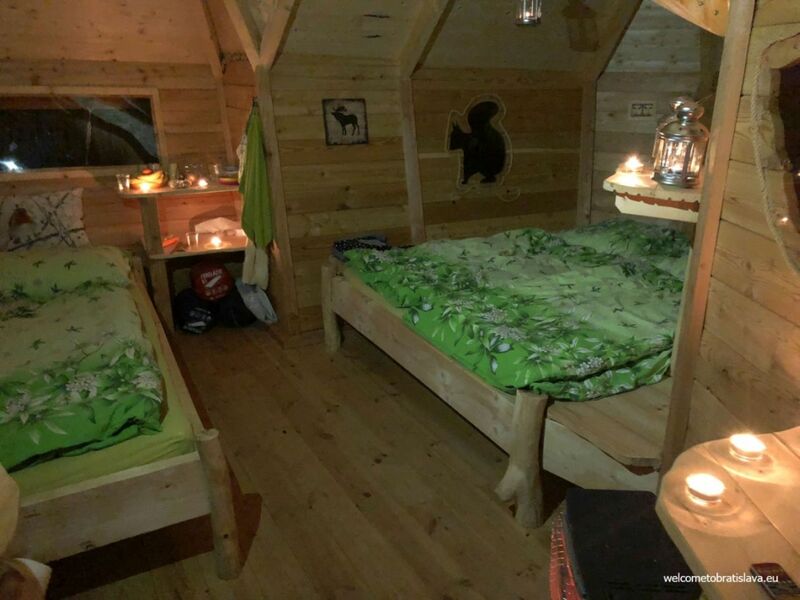 This tree house is an ultimate hideaway for those wanting to get back to nature and still be just a jump from the hustle and bustle of the downtown. 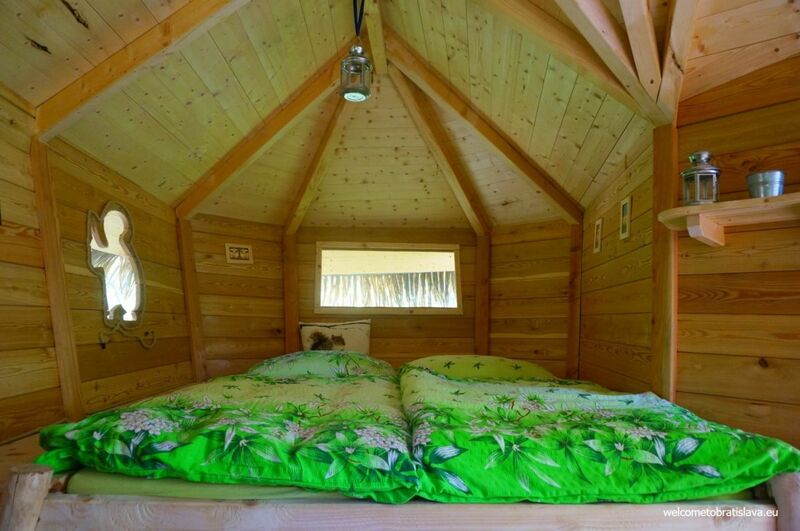 It is quite likely that you haven’t heard of such a thing as a tree house in Bratislava. How come? 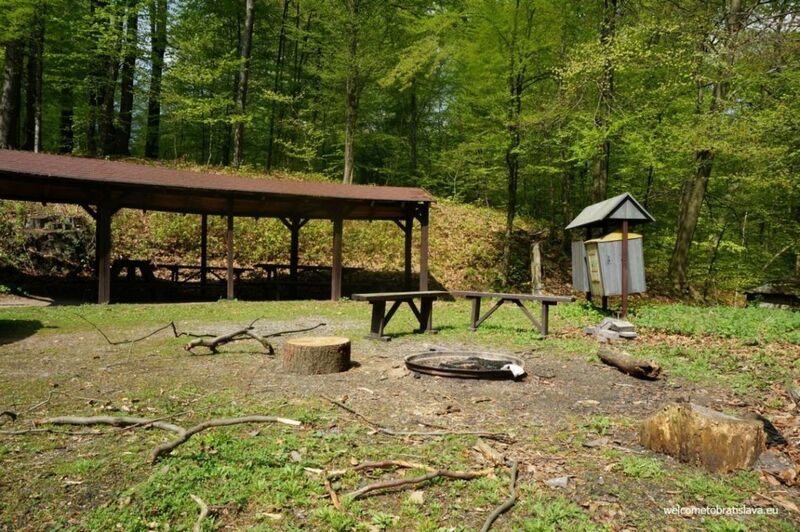 Well, despite being built in Železná Studnička which is one of the most popular places for Bratislava people to immerse themselves in nature, it can’t be easily found. There is no sign about it anywhere on purpose – in order to avoid vandals. 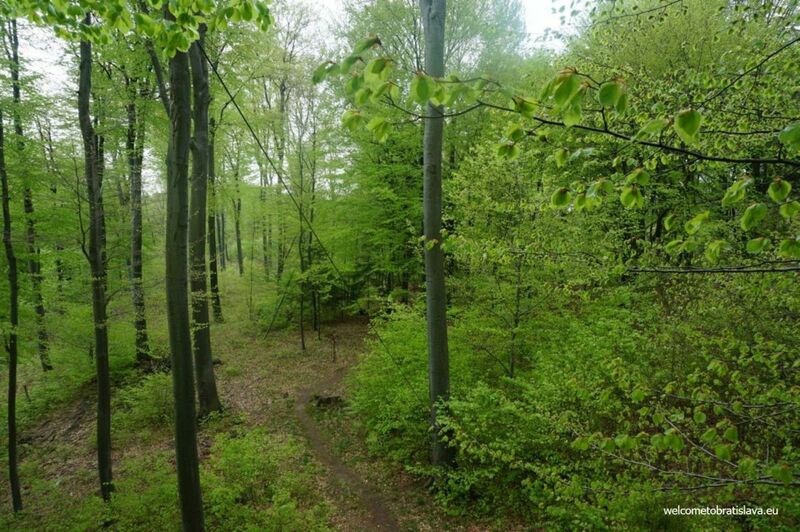 In fact, it is located in a zone where you can’t get with a car unless you have a special permit from the Bratislava City Forests office (bratislavské mestské lesy). You will receive it only after you book your stay, and will be taken to the exact location with the office clerk the day before your trip is arranged. This itself already sounds pretty cool, doesn’t it? 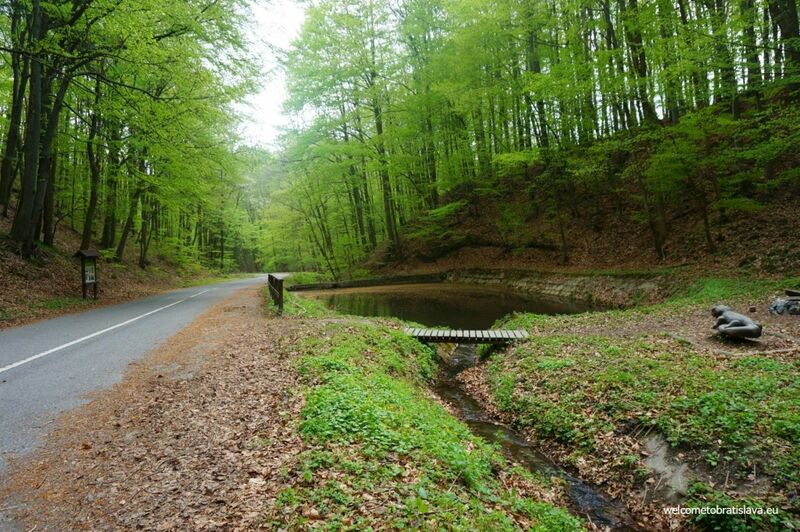 That being said, your adventure will start already once you pass the spot where cars can’t access normally – driving through pure, almost untouched, beautiful nature for several minutes. You might meet a few runners or people on bikes on your way, but the closer you get to the final destination, the fewer people you see. Designed to complement the natural environment, the whole house is made of wood. 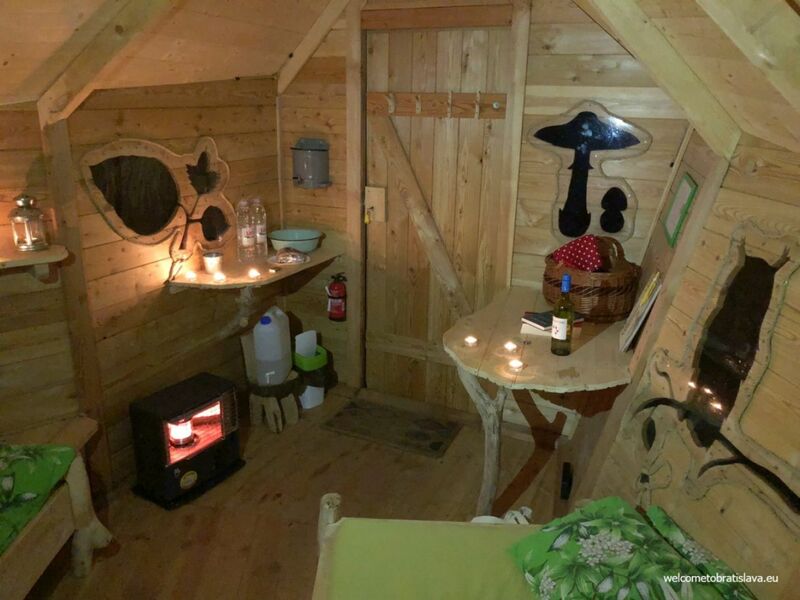 After walking up the spinning staircase, you’ll find a small cottage house 6 m above the ground, with a terrace comfortable to seat a few people. 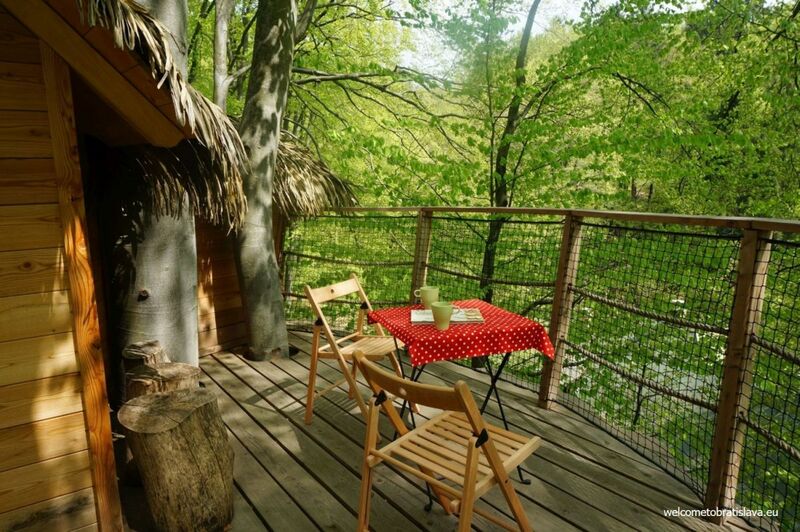 The tree house features only one room and sleeps up to 3 people (there is a double-bed and a single bed). As it got super popular from the very start and was constantly booked out, the City Forests decided to build another one. 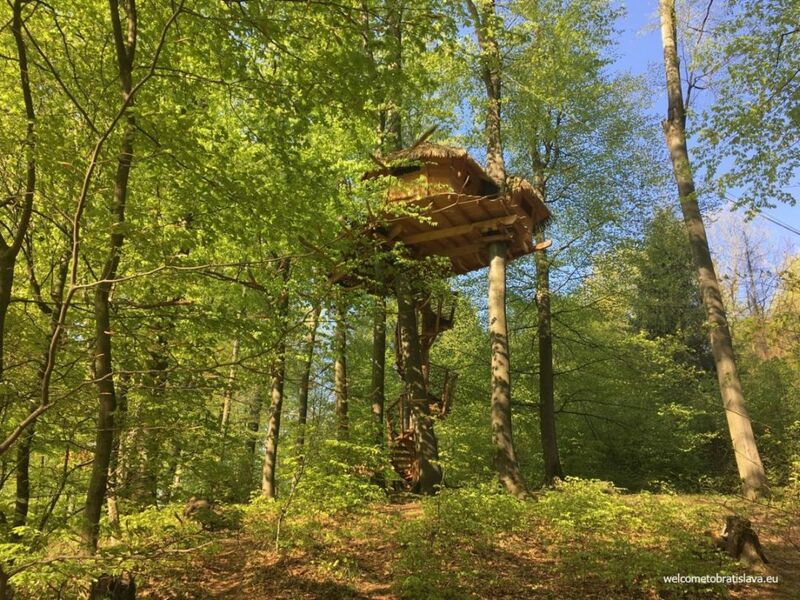 The second tree house is a little bigger (sleeps 4 people) but is only 4 m above the ground. What’s included here is small towels, bed lining, sleeping bags (we did not use them), water, cups, a basket, a table cloth, a small table and two chairs for the terrace. The terrace is great for having breakfast, relaxing or reading a book. A really calm place to just release your thoughts and switch off completely. 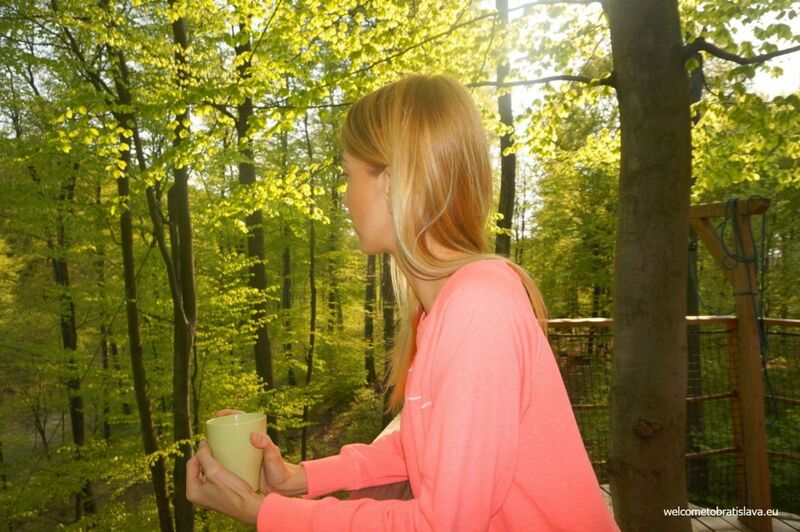 Disappear into wilderness without any distraction – whether you walk along the main road or take the paths deeper in the forest, it does not really matter as you’ll be literally in the middle of the nature. 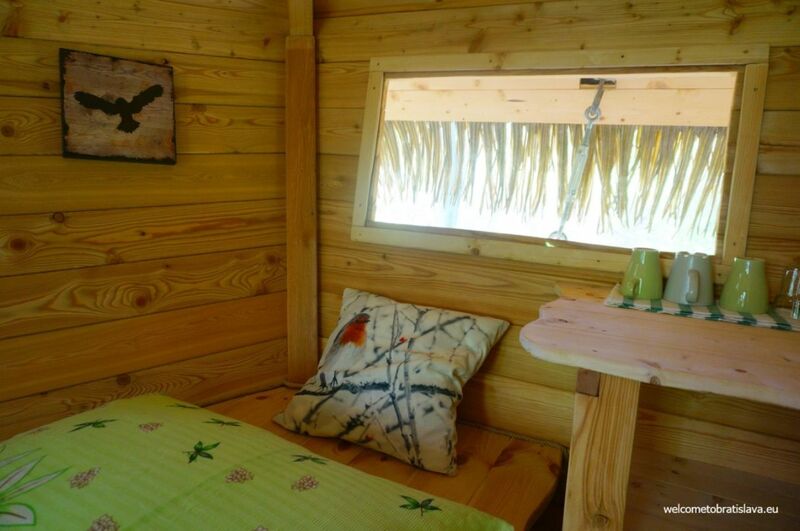 A few meters from the tree house there is a fireplace ready to be used, with benches as well as a sheltered arbor. You’ll not have any problems finding pieces of wood but you’d better bring a reasonable amount of papers to start the fire – and matches of course. If you are not afraid of dark, you can get outside of the room and enjoy stargazing while listening to the sounds of the animals to spot the next day. The braver ones can also do some night walking around the area – but for that you’ll absolutely need some flashlight (unless you are really, really brave). There is a dry toilet nearby and toilet paper will be provided. Besides being considered by many environmentalists as the only acceptable alternative solution towards attaining sustainable sanitation, it’s actually also pretty cool and almost like living in the previous century when using it, at least for us it was! When going to sleep, you will hear various sounds and you’ll probably have a feeling there is something/somebody walking around. Do not be afraid though, we were told that it is natural for the wood to crack – and it’s almost impossible for any animal to get up the staircase if you lock it properly. There is a lock at the bottom of the staircase + you can lock your door upstairs. Interested in getting away from the chaos of modern life? Send an email to info@ba-lesy.sk to find the next available day. 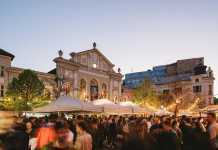 You’ll have three days from receiving an offer to make the payment (100 € per night) in order to confirm your booking. 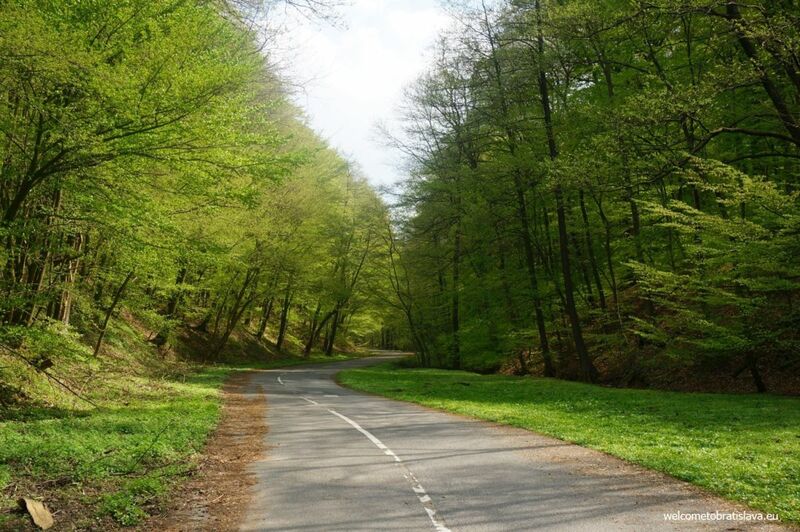 Soon after that you’ll receive an email with instructions (also available in English) on where to pick up the keys and paper permit for driving in the forest area. You’ll need to return both the keys and the permit by 10 am of your last day. If happy with your stay, you can leave a few words in their guest book which you can find on the table inside the house.